JLL is one of nation’s preeminent commercial real estate firms, with 58,000 employees across 230 corporate offices worldwide. 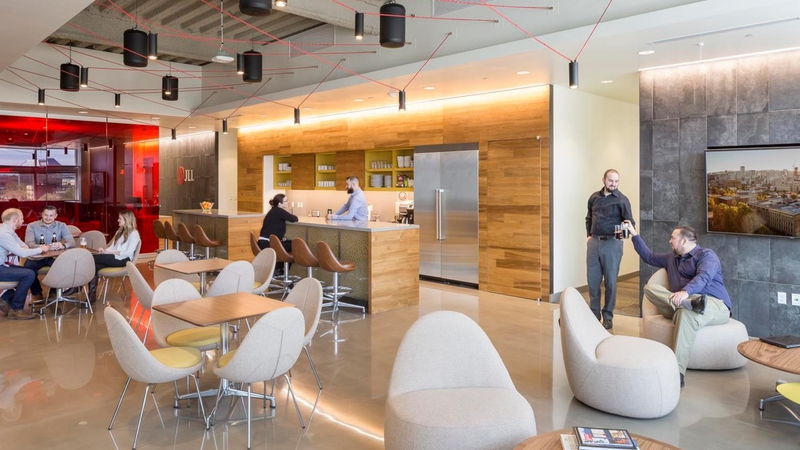 After previously operating from two separate Portland locations, JLL recently centralized their teams into a single unified space. 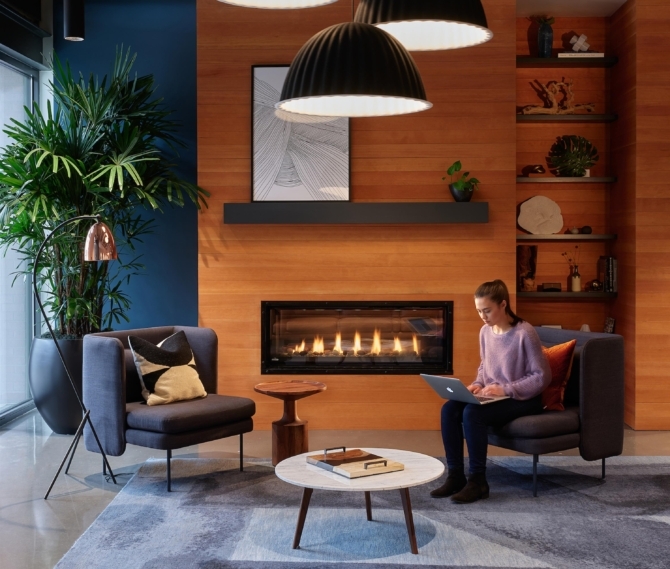 Their new 9,200 square foot Portland Headquarters is located within the Pearl District’s historic brewery blocks. 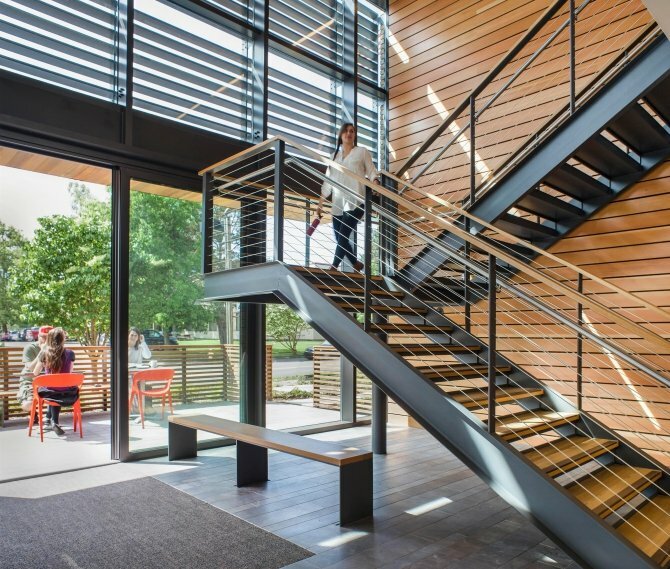 GBD Architects was tasked with creating “the coolest corporate real estate office in Portland”. 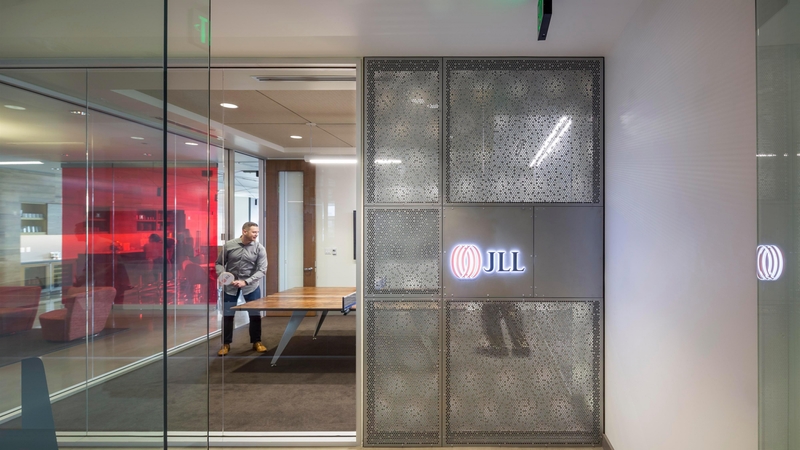 The renovation maintains JLL’s international stature and strong corporate identity while also representing the local flair of the Portland market. 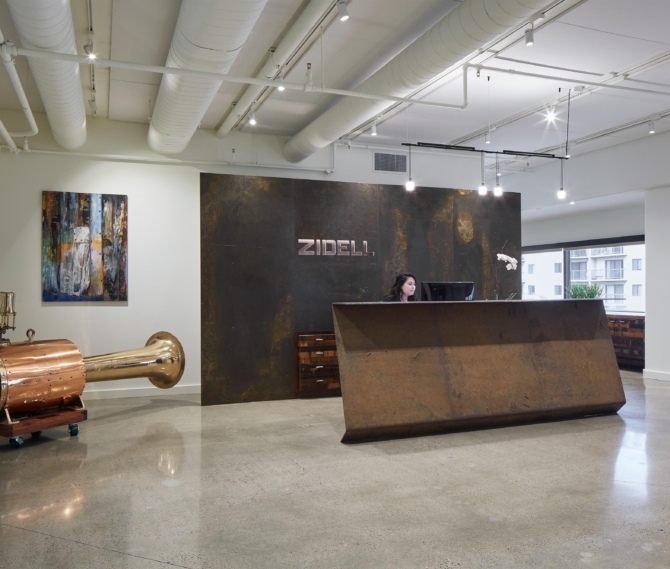 A large-scale map of Portland and imagery of the local skyline create an homage to the city in which both JLL and their clients thrive. 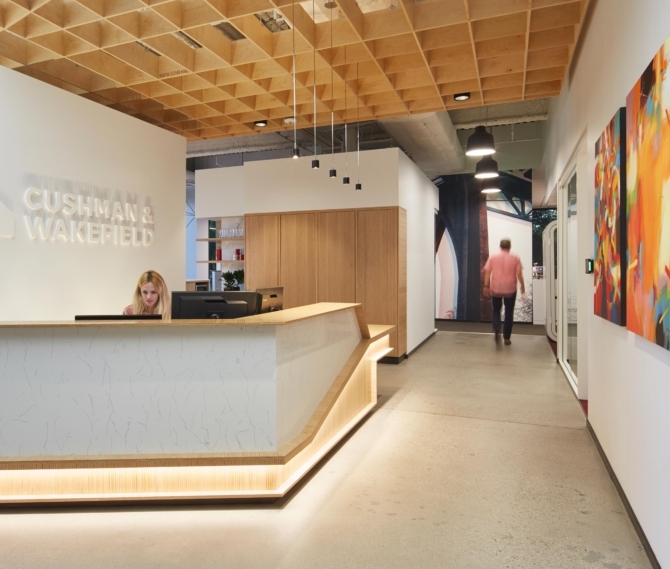 With flexibility in mind, GBD designed the front of house areas with sliding partitions that provide a large conferencing space, which can open up to the lounge beyond. 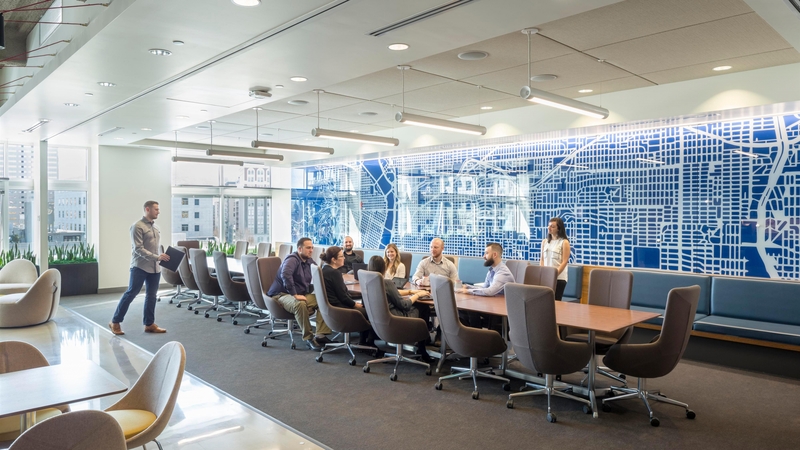 This configuration allows for a variety of functional uses—JLL can easily transition between hosting large group events and interfacing with clients privately. Customized elements such as steel framed huddle rooms, built in benches, and unique entertainment bars enhance the experience.